For anyone who follows the adventures of Circus Company through modern music, you will know we find it hard to resist placing our hand into the creative flames that ignite around the three forceful characters that form dOP. While their primary project has seen them grow into a taut, powerful dancefloor proposition, Damien, Clement and Jaw’s music has always been informed by sources that reach far beyond the functional requirements of a mass of bodies late in the night. While the Aquarius Heaven project has seen them embrace a dubbier kind of house music, this release sees the beginning of an exciting new chapter for the three lifelong friends and collaborators. 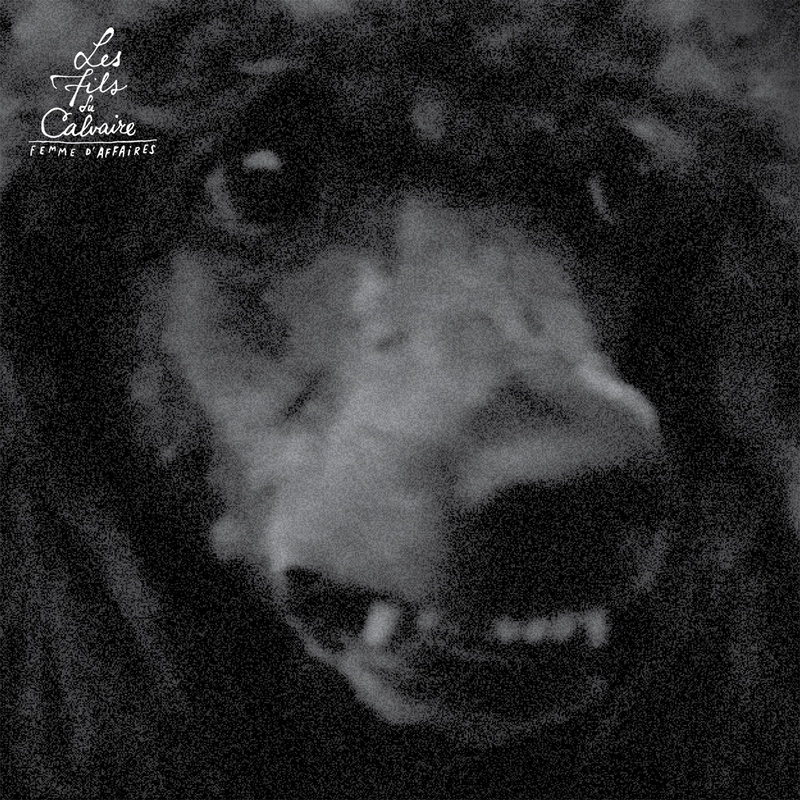 Les Fils du Calvaire started not with a record, but with a tour of concerts that found them replacing their traditional drum machines and synthesisers with live instruments, while Jaw’s ever-present voice swapped English lyrics for French. Far removed from what they have created before, “Femme d’Affaires” is a perfectly distilled brew of seductive pop music that embraces a dark mood without ever being depressive. Slinky bass and sleek guitar licks meet with woozy, dreamlike synths, with an end result that calls to mind the finest 80s production work of Brian Eno and a quintessentially French funk. In honour of this exciting new turn of events for both the artists and us as a record label, we reached for remixers who would do the original single justice. It is a special treat to hear Manjul, the Paris-born reggae hero, bring his roots to bear with a perfectly realised cocktail of delay, horns and weighty bass in a classic dub style. Moving back to their dOP guise for a different approach, Damien, and Clement rework the original into a simmering, acid-laced cut with understated drums and just a whisper of Jaw’s vocal. Acid Pauli take a more gentle approach with their remix, while Jacques Renault brings the heat with a jacking, crunching house version.